Hurricane Irene is history, and I have photos that I tried without luck to post. However I will say that it was an interesting evening, one of the windows in the house we were staying in was shattered by a wind blown tree branch around 8PM last night. As were were trying to cover it( contractor trash bags and duct tape did the job nicely)the power finally went out for good. About a half hour later a huge tree crashed right by the house and took out the power line to the house, thankfully the power was out or it might have cause a fire. So the rest of the evening was spent by battery powered lantern reading a book. The wind blew all night, and it was not something that I enjoyed very much. I didn’t sleep well so I was a bit tired today. There probably won’t be power there until later this week and we decided that it was time to pack it up and leave out artist retreat a week early. 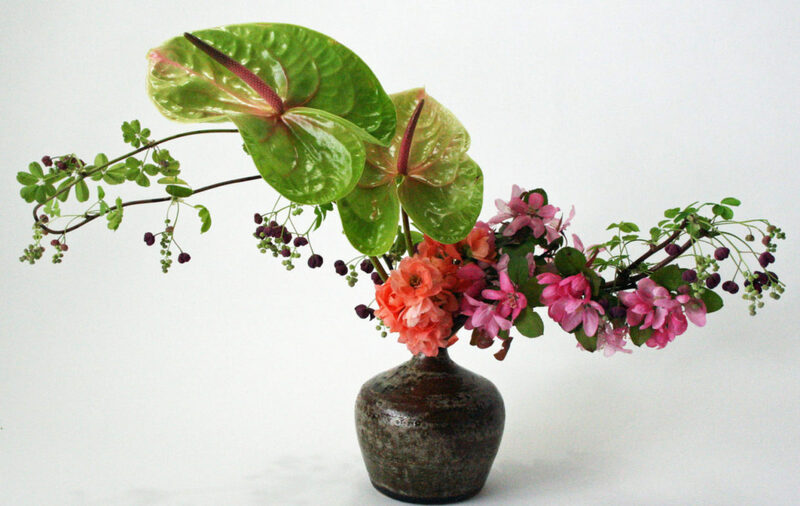 I did get this ikebana arrangement done once I got home and had a nap. 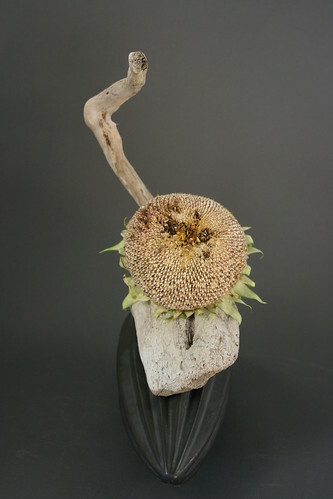 The driftwood is from the bay and the sunflower was one that the hurricane brought down in our garden. It’s good to be home, although I had plans to do other work at the bay. This week I’ll just have to dig a little deeper here at home and make new work here.